What would my child’s schedule be like? How many days a week? How many hours per day? 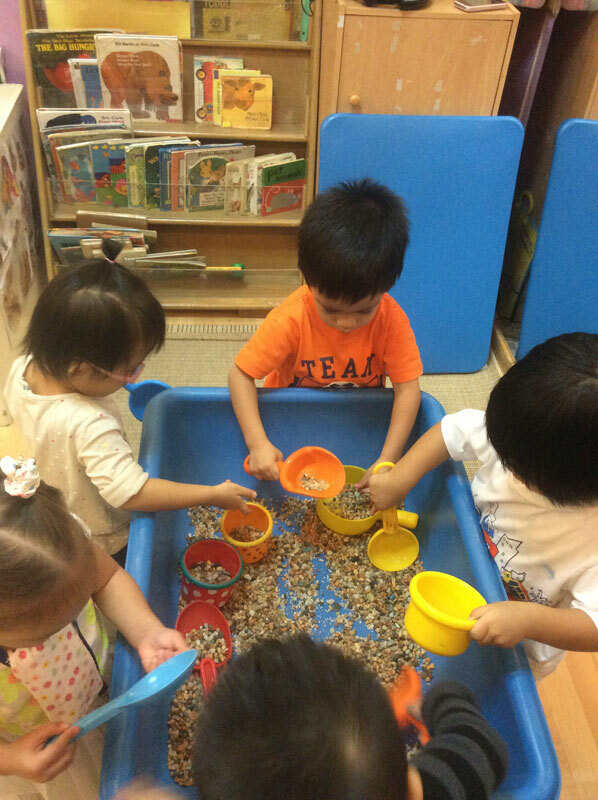 There are many things that the children learn from early schooling experiences. 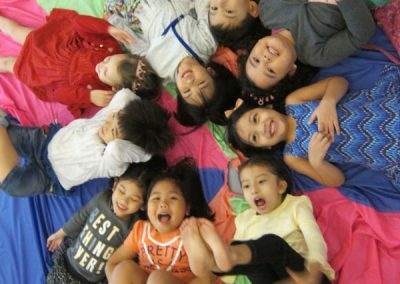 Social Skills is one important thing: making friends, understanding rules, caring for others, communicating feelings and ideas are just some good things that come out of being with other children at an early age. Being a progressive school we also try to develop a genuine interest in various fields like art, science, literature and music. 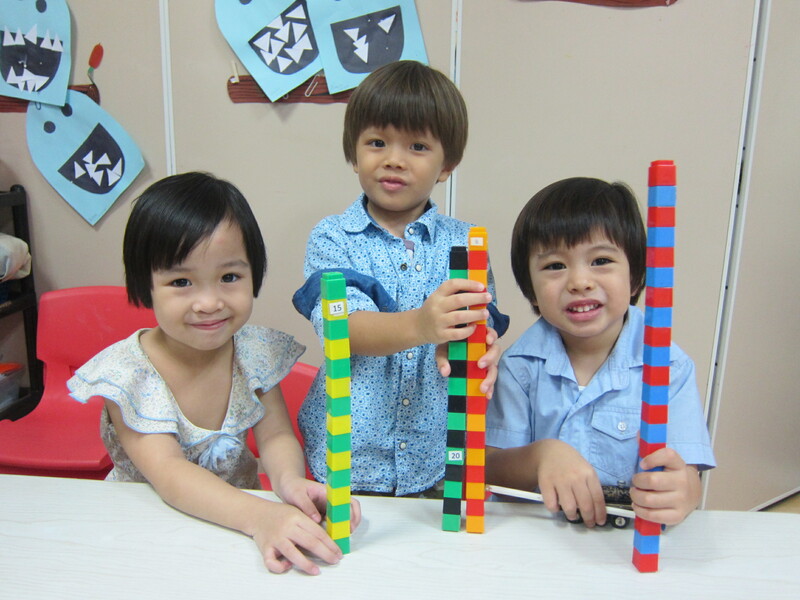 Regular subjects like Math, Reading and Writing are learned in games and through play. 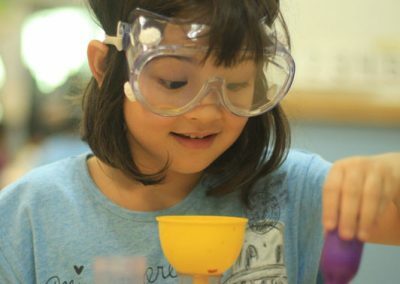 The emphasis is to develop a love for these activities through active involvement with a wide variety of materials rather than pounding abstract ideas through boring paper and pencil tasks over long periods of time. Most importantly, we help children develop confidence and a good sense of self, so that they can thrive in group settings and be confident in their abilities. 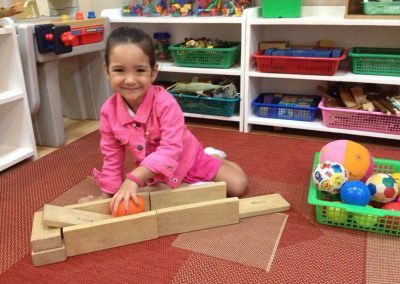 The basic philosophy is that children learn through play and active exploration. 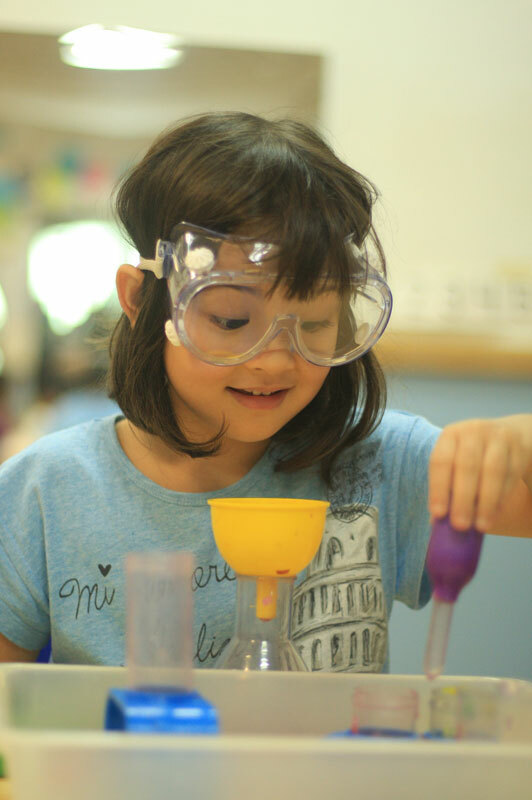 We follow Developmentally Appropriate Practices as provided by the guidelines of the National Association for the Education of Young Children, which is the largest organization of educators and school administrators in the United States. 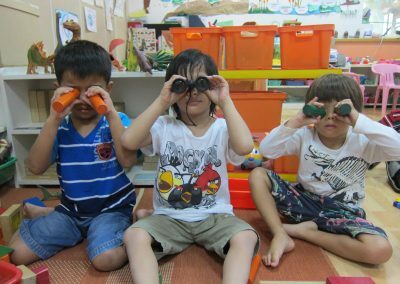 We give children a lot of opportunity to learn through what they love doing best, play, so that learning is fun and meaningful, and an eagerness to learn and an enthusiasm for school is instilled at an early age. 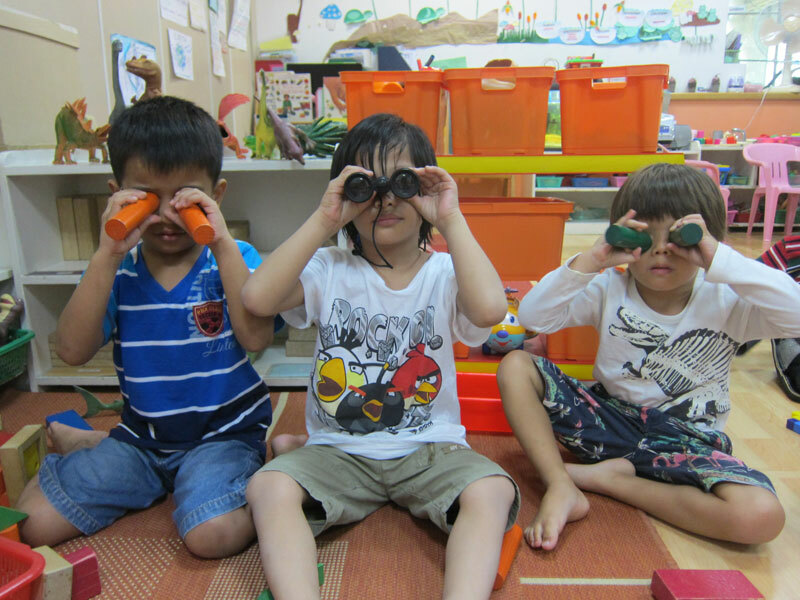 What is the maximum number of children in my child’s classroom? What is the student-teacher ratio in my child’s room? What are your policies on health, safety and security? Health: Parents are asked to submit upon entry the immunization record and medical history of their child. A list of allergies is also requested. To maintain a health standard children who are sick or recovering from an illness are not allowed in school, or will need a certification/letter from their pediatrician. The teachers and staff are medically trained. In each class at least one teacher has received certification from Red Cross for first aid emergency care training for infants and children. Security: For the safety of our students, the school has devised a sign out procedure. Parents, yayas or drivers must present a laminated school pass bearing their photograph whenever they fetch children. The school also works in close cooperation with the Festival Supermall Security office. Fire drills and earthquake drills are done on a regular basis. Additional safety features include: a fire exit that is accessible through the school, security locks by our front door, and our own security officer. How safe is the mall? The mall Security Department takes family safety seriously and works closely with Toddlers Unlimited in doing its best to keep all children safe. That being said, it is also the parents and yayas responsibility to be safety conscious as they go around the malls. However, for people worried about being in a mall because of crowds, we recommend sending their children to the early morning classes. From 8 to 10 am, there is only one entrance that is accessible to clients of mall tenants that open early, and the guards at this entrance are quite strict. By coming to early morning classes, by the time the mall opens to the public at 10 am, your child is on his/her way home. Is the parent or yaya required or allowed to stay in the classroom? For how long? Parents and yayas are allowed to stay in the classroom until the child is ready for them to leave. In each room we have a designated area where the adult can stay while the child adjusts to the new environment, children and teachers. Some parents and yayas are able to leave the room after a day or two, for others it may take weeks. 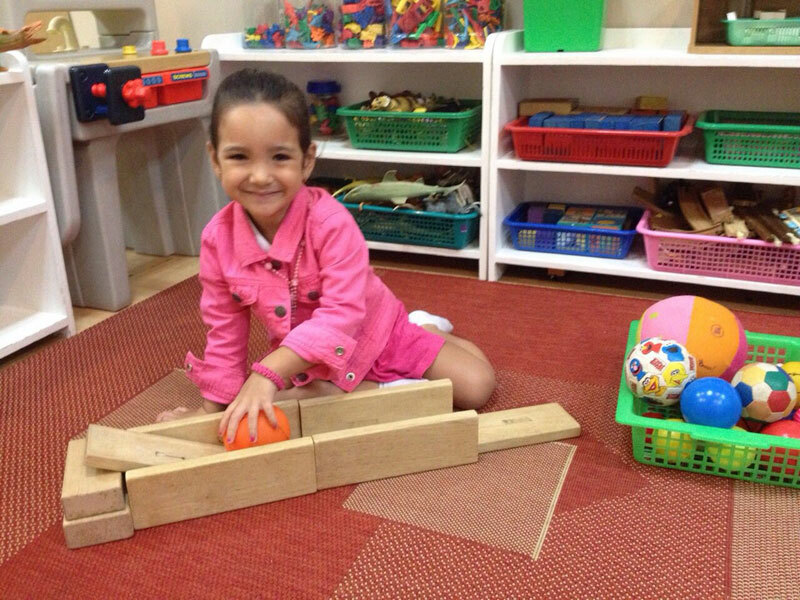 The important thing is that the child feels comfortable and happy while he/she is in school. What are the qualifications/credentials of my child’s teachers? The lead teachers are college graduates with degrees in Education, Psychology, and Child Development. Those that are college graduates in other fields (such as Business, Communication, Language) have taken units in Education. 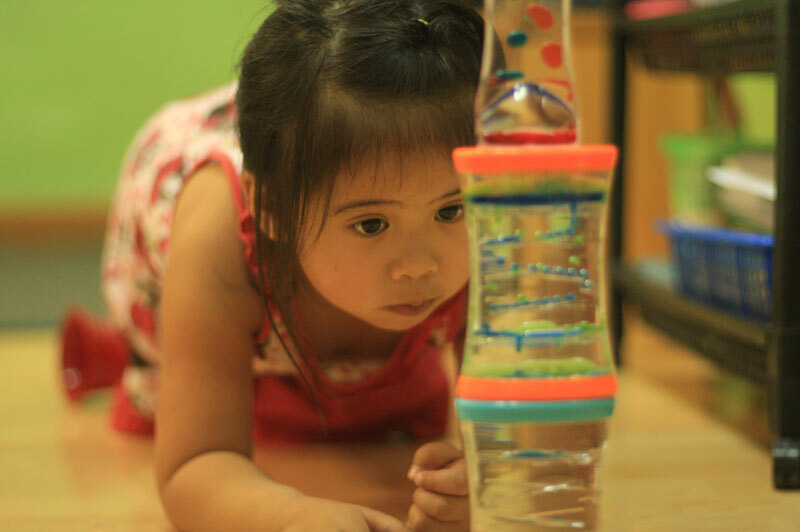 All teachers (both lead and assistants) undergo rigorous in-service training by Toddlers Unlimited. The training includes lectures, workshops, hands-on work with children, assigned readings, written reports and teacher sharing sessions. Some of our teachers are pursuing further studies (masteral studies in Psychology or Education). All teachers are dedicated and hard-working individuals who display genuine affection for their work and their pupils. 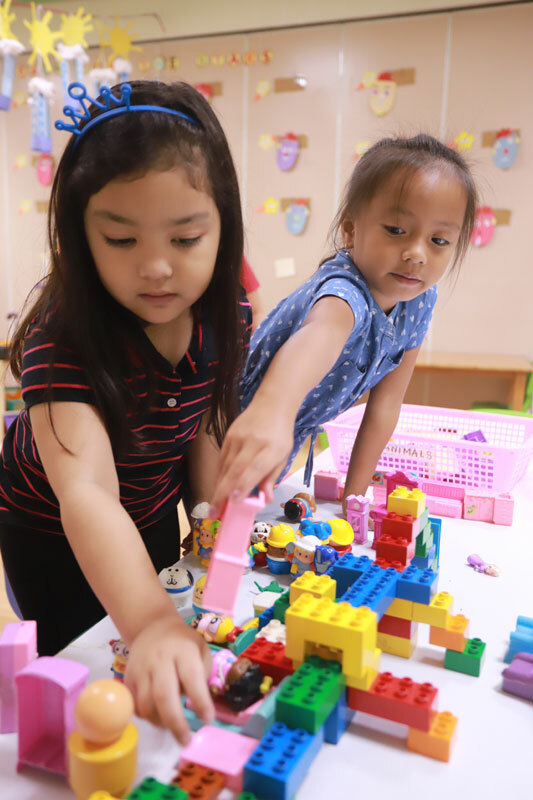 Toddlers Unlimited cooperates with universities and accepts college students in the fields of Education and Psychology for their on-the-job-training. For 10 years or more. What is the school calendar like? When does the schoolyear start and end? When are the breaks/holidays? 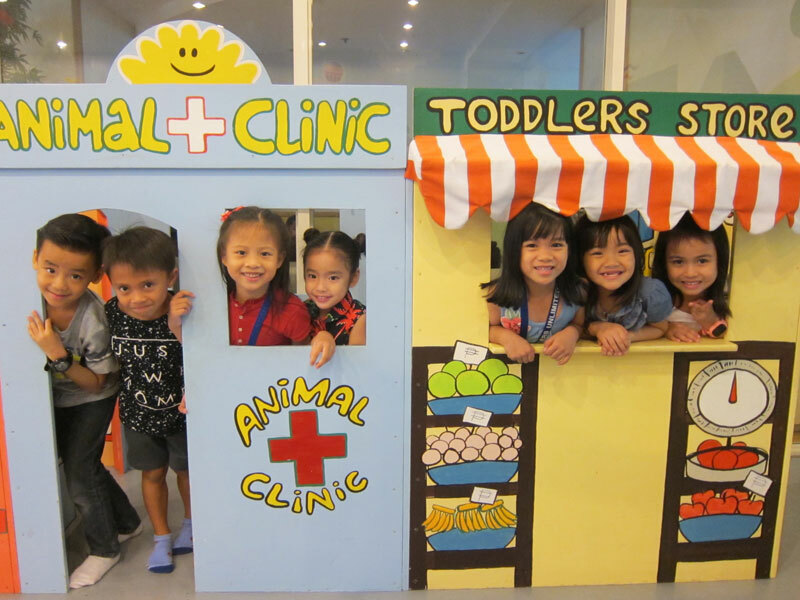 Toddlers Unlimited follows the regular Philippine Schoolyear Calendar. Classes begin in June and end on the last week of March or just before Easter Week. We have 2 semesters in one schoolyear. The first semester is from June to October. The second semester is from November to March. We have no classes on National Holidays, and have a semestral break (approximately 1 ½ weeks at the end of October) and a Christmas break. We have summer classes between the months of April and May, which last for about 5 to 7 weeks. How much is the tuition? What does this include? Tuition fees are only given upon visiting the school. Rates vary depending on the class your child joins. Please call the school for more information or to schedule an appointment. 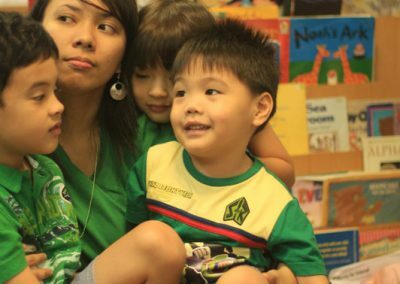 The school was first set-up in 1995, at Teacher Thumby’s residence in Alabang. 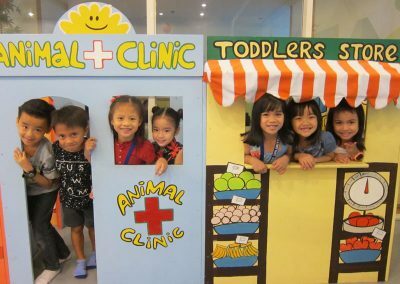 On July 1999, Toddlers Unlimited moved to Festival Supermall and has been conducting toddler and preschool classes from there ever since. Are you recognized by the Department of Education? 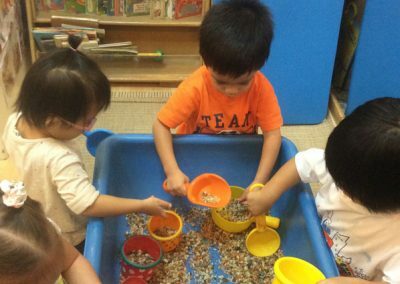 If I want to send my child to the Big School the following year, how can going to Toddlers Unlimited help? We prepare children for the big schools by giving them a routine and set of rules, they also learn how to accept guidance from teachers and work well with other children. We put a lot of focus on developing social skills and a healthy sense of self that are important in adjusting to the big schools. We also give pre-academic exercises that help prepare them for schoolwork. Towards the end of the schoolyear, the teachers can make recommendation letters to go with the narrative report and Developmental Profile Report we make for your child. What is the importance of being ISO certified? This means that we adhere to International Standards in providing high quality service to your child and family. Being ISO certified means we developed a Quality Management System and are constantly evaluating and improving our school. Do you offer anything on the weekends? 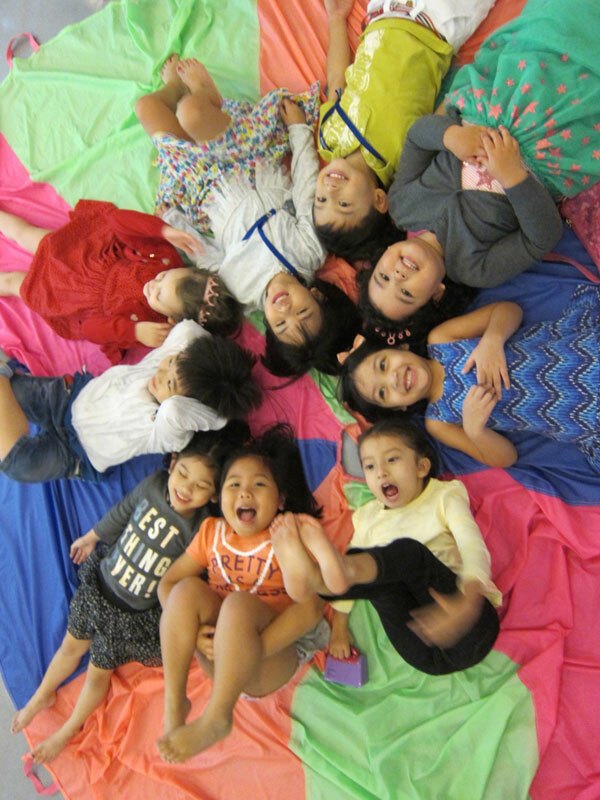 We offer Saturday Playgroups, which are only an hour and a half. They come in modules of about 5 sessions with their own themes. These playgroups are geared for children whose parents are not able to bring them to school on weekdays. It’s a great introduction to the school environment, rules & routines, accepting teacher guidance and playing with others.